Affectionately called the Auld Reekie for the buildings were heated by coal & spewed thick clouds of smoke, this capital of Scotland this elegant city is studded with beautiful Georgian architecture. Steeped in history & culture it is located in the Central belt along the Firth of Forth, in close proximity to the North Sea. Well known for its university & the fringe festival, it is known to be one of the most picturesque cities in Europe & hence a must visit location. 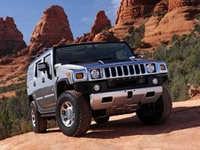 And what would make it more special is touring this beautiful city in one of our Hummer limo hire. We have an entire fleet of vehicles that could come handy when you want to celebrate that special day or event. Be it a birthday party, a hen night, a corporate event, a wedding or even as simple as an airport pick up, we are here for you. All our vehicles come with excellent interiors & well trained & knowledgeable chauffeurs. Our Hummers which not only turn heads when you hit the road , but also provide you with the utmost in comfort & is the last word in luxury. All our vehicles are fitted with CD players, plasma television screens, fantastic sound system with a collection of the latest albums (or you could bring your own selection), mood lighting & on special request even a bar with Champagne to celebrate. 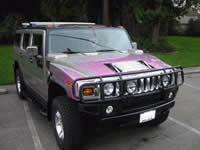 You can book our pink Baby Hummer limo hire for a relaxed feel, ideal for a hen night or the Hummer style stretch limousine to make that perfect entrance to a party or a wedding. No matter what the occasion, we are here for you, so book us with confidence. Edinburgh is essentially divided into parts, mainly the old town & the new town. To the south is the old town dominated by the Edinburgh Castle & the new town lies to the chief attraction being the Princess Street a shopping connoisseur's haven. Culturally Edinburgh has been dominated by the International festival featuring high profile, Broadway acts & musicals from around the world but has lately been eclipsed by the Edinburgh fringe festival. Held in the month of August, which also makes it an ideal time to visit the place, it mainly promotes local & national comedy, dance, dramas, & musical acts. To get a comprehensive view & idea of the city, take the Sandeman's free tour & see the wonderful city while listening to its history. Or take a leisurely stroll along the Royal mile, probably Edinburgh's oldest street & see the places which have historical importance starting at the Edinburgh Castle at the top. There any number of museums & art galleries that you can visit in the town & few to mention are the Royal Museum, Museum of Scotland, of Edinburgh & a must visit art gallery is the National art gallery of Scotland, you can find some of the finest works of painters from all around the world here. Due to the cosmopolitan nature of the city it attracts food enthusiasts from all over the Scotland & even UK. You will have the choicest of restaurants in Edinburgh & can sample menus ranging from Malaysian, Indian, Chinese, Lebanese, and Japanese to Scottish. A few that we recommend are Wedgwood-The Restaurant, The Kitchin & Haneadan. To complement your luxurious ride kick back in one of the top rated hotels in Edinburgh like the Holyrood Aparthotel , the Chester Residence or the Tigerlily & you will not be disappointed. Before you start off on your wonderful journey with us, we would recommend that you ensure that the vehicle & the driver have been insured under the VOSA's COIF or Certificate of Initial Fitness. This would put you in a better frame of mind in the eventuality of any mishap in the future. Also it would prove beneficial to go through the travel itinerary with your driver just to be sure that you are on the same page as far as the facilities that you paid for are concerned.